Friday night, May 18, certainly goes down as a memorable life moment that I was honored and privileged to share with fellow graduates, university faculty, friends, and family. It marks the culmination of years of effort and investment, both on my end, but more importantly on the part of others. I am not a self-made man, but simply the return on investment nurtured by so many incredible people. I was proud to have the love of my life, Sweet T accompany me across the stage at the Amberton University graduation. What an honor to celebrate this achievement with someone who has stood by me, encouraged me, and believed in me. This would not have been possible without you. I think back to all the teachers, recent and long past, who shared their time and knowledge with me. And I recollect the counsel and support of family, friends, and mentors that got me to this point. Without you all, I would not have been able to accomplish this goal and achieve this moment of joy. I am beyond blessed. I’m not one who thinks that college is for everybody or that believes you need to get a degree to be successful in life. I know far too many people who have found success without ever getting a degree. But, for many, a college education opens doors it wouldn’t otherwise. And as one of our speakers noted on Friday night, knowledge and an education is something no one can ever take away from you. 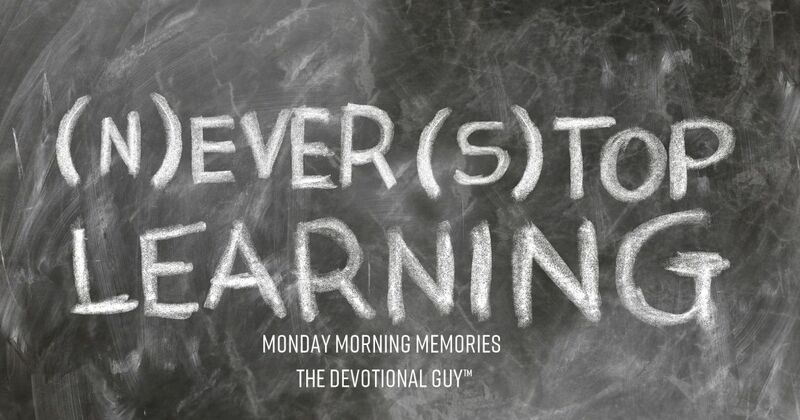 Regardless of what you do or what your calling in life is, I urge you to never stop learning. Be a life-long learner. It is true that I didn’t take the traditional route to get here. That’s been true for most of my journey on this road called life. I learned long ago that life doesn’t always follow a straight trajectory. Perseverance, resilience, determination, and a ton of prayer can get you from here to there. You just got to find a way to keep on keepin’ on. And you’ll definitely need the support of others along the way. I am eternally grateful to the sea of teachers, instructors, and professors who helped me along the way. Yours is truly a worthy profession. Thank you. To my myriad of mentors, who the Lord so graciously provided: Thank you. To my family and friends—thank you. To my precious Mom and my parents-in-law–Thank you. To my bride—Sweet T—Thank you. With the completion of one adventure another one awaits. While I’m not entirely sure what the next stretch looks like, I do know that God is good and that as the next chapter is written, He will be walking alongside me. Never lose your sense of adventure. Yes! I am beyond blessed. My prayer is that you may be also.